On my first and recent adventure through Germany in mid-July, I drank my way through the Altbier scene in Dusseldorf and the beer gardens of Munich. I also checked out the world’s largest panometer in Dresden, which was quite possibly the best museum I’ve ever visited. You can read about them via the links above that jump to various outlets, including two that were featured on Conde Nast’s Jaunted. I’m happy to report that I’m currently in the air on my way back to Deutschland, this time to the Frankfurt region. I’ll be exploring the city itself as well as some of the smaller villages that surround it. I would assume there will once again be a lot of beer drinking. As I mentioned in a recent post, it’s really nice to be getting to know Germany after years and years of schooling that did nothing but hang dark clouds over its image. Granted, much of that was justified, but that is not today and it is not a reflection of the people, culture, and adventures to be had in the country here in 2013. Follow along here and on Wake and Wander’s Facebook and Twitter pages for on-the-go photos and coverage. Prost! 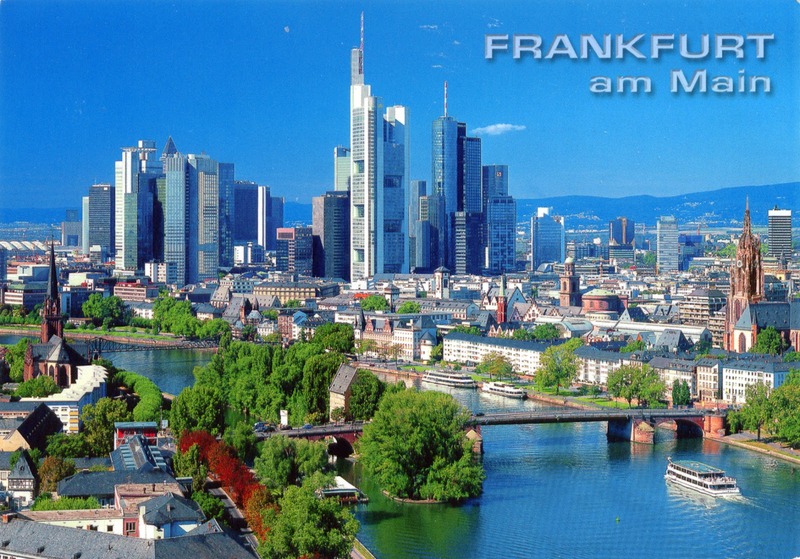 Stock photo of Frankfurt, Germany. My photos to come!